Cute, point-and-click, quest games in Flash. 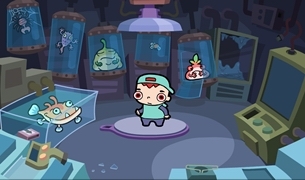 Each episode contain humorous, inventive situations and puzzles to solve. Cute online quest game made to promote The Polyphonic Spree‘s new album. I love it! Done by Dony Permedi. “Le Building” is a minute-and-a-half film made by a team of 5 French students from the animation school “the Gobelins” in Paris, France. 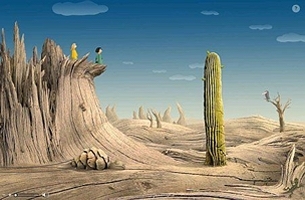 It was made as an opening short done for the Annecy 2005 international animation festival.